We were commissioned to deliver a new Website Design for Carlow Pain Clinic in Carlow town.. Brian T. Moore has been practicing as a spinologist since he graduated in Philadelphia in 1984. It gives him great satisfaction helping his clients get rid of their disorders and restoring their quality of life. 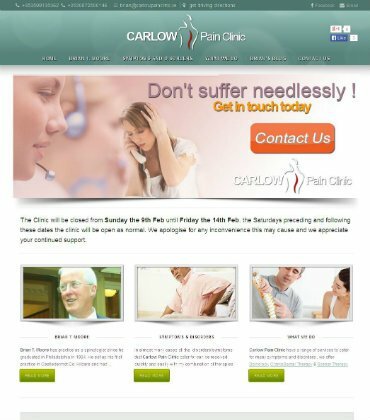 Our brief from the client was to deliver a new Responsive Website Design which would provide Brian with a search engine friendly responsive web design that would have a potential to rank well organically and generate leads and sales for Carlow Pain Clinic.